The last quarter of 2018 wasn’t the best time for Canadian ETFs. 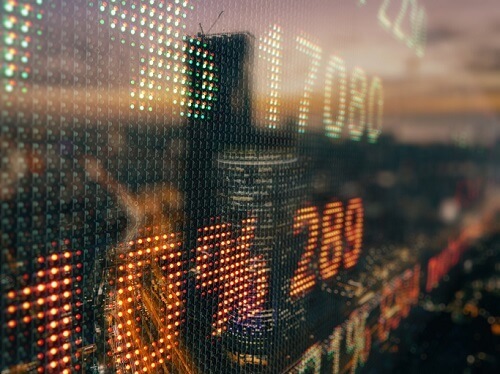 The Canadian ETF Association (CETFA) has reported that from $163.2 billion in assets under management in September, industry AUM dipped to $157.6 billion in October. November saw asset levels rebound to $161.1 billion, only to ultimately end the year with $156.8 billion. That total still represents 6.6% growth over the $147.1 billion AUM held by Canada-listed ETFs as of December 2017. Year-on-year growth was also observed in the number of sponsors (a net gain of five sponsors in 2018) and the number of funds (106 new funds added in all). Citing data from Strategic Insight, the association also reported a total of $1.214 billion in net creations for fixed-income ETFs in December, an increase of 39.3% over the previous month’s $872 million. In contrast, December net creations for equity ETFs were at $864 million, representing a 12.7% decline from $990 million in November. The total market share commanded by fixed income ticked up slightly in December, gaining 1.7% month-on-month to reach 29.8%. The market share for equity funds, meanwhile, slipped 1.8% to settle at 67.5%. Focusing on ETFs that were launched in 2018, the title of largest fund by AUM went to the BMO Europe High Dividend Covered Call ETF (ZWP), which had amassed over $1 billion by December 31. It handily beat its two closest competitors: the Vanguard Growth ETF Portfolio (VGRO) and Vanguard Balanced ETF Portfolio (VBAL), which weighed in at $491 million and $342 billion in AUM, respectively.